Today was a great day to end the working week. Had a great team lunch which included a few jugs of sangria and some Spanish tapas. Love patatas bravas! Feeling slightly merry from the 1 glass of Sangria and 1 glass of tempranillo I enjoyed with lunch ( Yep, it doesn't take much for me to become merry - cue the Cadbury chocolate slogan here ) we moved on to one of the pubs in the city. After a few sobering soda waters ( I drove) I walked down to Darling Harbour contemplating a bubble tea at one of the thousand stores between George street and Darling Harbour. I stayed strong and didn't succumb to the power of the pearl. Have you been on Sydney's version of 'The Eye' ?? After exchanging something at a shop in Darling Harbour, I noticed the Hard Rock Cafe! I instantly had memories of when it was in Crown Street, many years ago. I celebrated a number of birthdays there as a teen and it was fantastic. Think - funky staff, cool music, super thick shakes, burgers, buffalo wings with blue cheese sauce and celery dippers, apple cobblers. Wow. Yum! A cafe and merchandise store has already opened with a sign saying the restaurant will be opening soon. I may have to visit just for old times sake. I WILL be visiting when it opens. 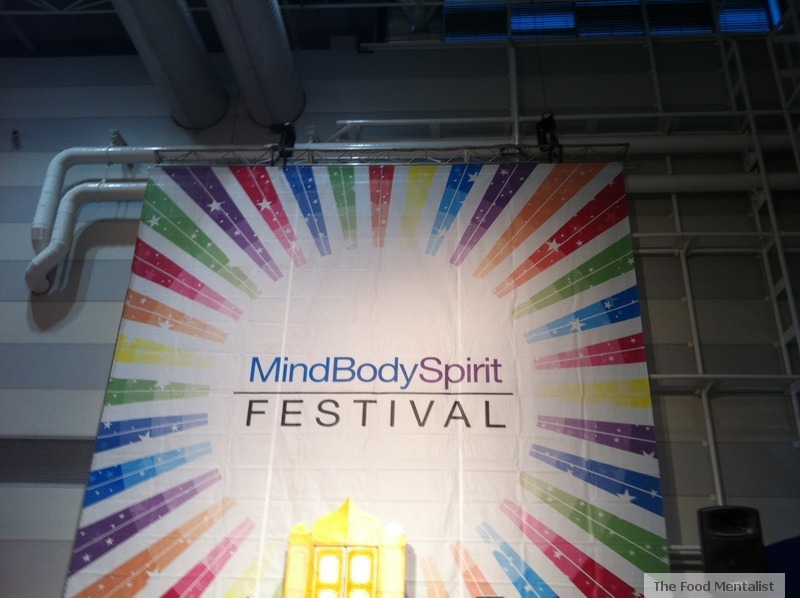 I then walked past the exhibition halls and noticed that the Mind Body & Spirit festival was on and open until 7pm. I often find at these type of events I wander around aimlessly chopping and changing aisles and I always end up missing stuff so today I decided to approach each aisle with precision. Like one of those annoying snake queues at the airport. I found some interesting gadgets a few of which I felt were snake oil type things, but overall everything was great. I sat down for a while and participated in a free meditation session and then listened to the gorgeous tunes of Eve Goonan who was really amazing! She performed four of her songs and gave a brief intro before each song explaining her inspiration for writing. This was a great highlight! I then wandered up and down each aisle, I chatted to a few people and sampled some gorgeous tea, honey, chocolate, vegetable chips and some Acai products. I also purchased a few items and will review them here soon, so stay tuned. I then walked up through China Town, side stepped the other hundred Easy Way stores ( which I love by the way), walked past the long line at Mamak and considered buying Pete some BBQ duck and a few tasty treats from Bread Top but quickened my pace as we are trying to be good in preparation for our upcoming trip to Bali where we are sure to eat our way through loads of satay and other tasty Balinese treats. We were going to head out for dinner, however Pete wanted to cook something simple out of my new LEON cookbook so who was I to argue with that? It smells great and I'm sitting here enjoying the Masterchef Masterclass. Not sure about this trifle though.... nothing beats my Nan's traditional trifle with jam roll sponge, sherry, custard, jelly and peaches. Yum! Tell me, what are you up to this weekend? 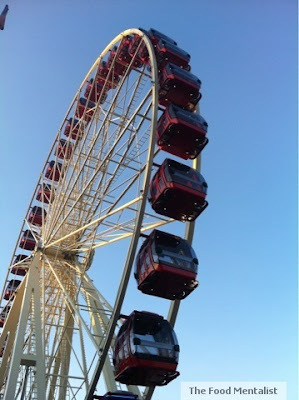 I saw the "eye" out my hotel window last week and thought I must go there one day. Maureen I'm loving the idea of a pulled pork sandwich!! Yummo. Aw, how lovely! Yay for short work days/weeks, with bonus alcohol! I haven't been to the mind and spirit festival, but like yourself I'm always mesmerised by the amount of gadgets, handy tips, free samples and classes on offer at exhibitions such as this. I can spend hours and hours walking around, smelling, tasting and learning. After which, I have no energy to even cook - lucky you!